When the electricity supplied to your home from the electrical grid cuts out for any reason, it is essential that you are able to go about business as normal. This is why so many homeowners choose to protect their comfort and their convenience with the use of a whole-house generator. If you are shopping around for a generator with which to power your home in Central Connecticut, then you have likely already discovered that there are many different fuel options available. With all of the generators on the market today, making a decision confidently can be tough; throw multiple fuel options into the mix, and it is only more difficult. 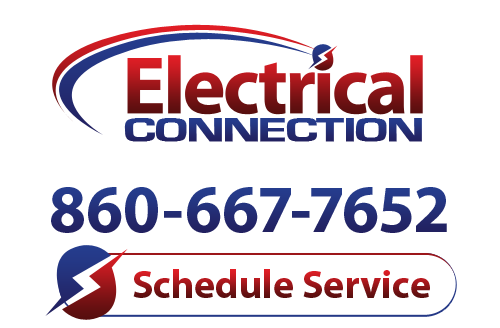 Consider the information below, and call Electrical Connection, Inc. with any questions that you may have regarding portable or whole-house generator options. Gasoline: One of the most readily available fuel sources for generators is plain old gasoline. However, gasoline is really only a good option for those times when the use of a portable generator is necessary. It can be expensive, with prices fluctuating considerably. While its availability really lends itself to portability, it is also highly flammable, which makes storing large quantities of gasoline hazardous. It also has a relatively short shelf life, in the range of 1 year, so it cannot be stored for too long. Diesel: Unlike gasoline, diesel is actually the least flammable fuel source available. It is, like gasoline, very easy to come across, and you may be able to arrange on-site deliveries of larger quantities. It is far more efficient than gasoline, and diesel engines are famously durable. It too has a shelf life, though more in the 18-24 month range, and diesel engines tend to be fairly loud. Propane: Considering that you are hopefully not using your generator with too much regularity, shelf life is a major consideration when choosing how to fuel your generator. Propane has a very long shelf life, home delivery is available, and it can be stored in small cylinders or large tanks. Propane engines are also pretty quite. A pressurized cylinder of flammable gas may not be an option that everyone is too keen on, though, and a more complex fuel system also means increased risk of failure. Engine longevity likely will not match that of a diesel engine. Natural Gas: If there is one major benefit of running your generator on natural gas, it is that the fuel is piped directly to the appliance. You won’t have to worry about deliveries, and natural gas burns pretty cleanly as well. A power outage will also not impact the delivery of the fuel. Natural disasters, on the other hand, may limit distribution, and natural gas is also not available in all areas. The installation cost will likely be somewhat higher than with diesel or propane models, too, as some plumbing work is necessary. Ultimately, the only way to choose a portable or whole-house generator with confidence is to enlist the help of a trained professional. There is no one generator that will suit every homeowner perfectly. Electrical Connection, Inc. will help you to find the one that meets your needs best, though.